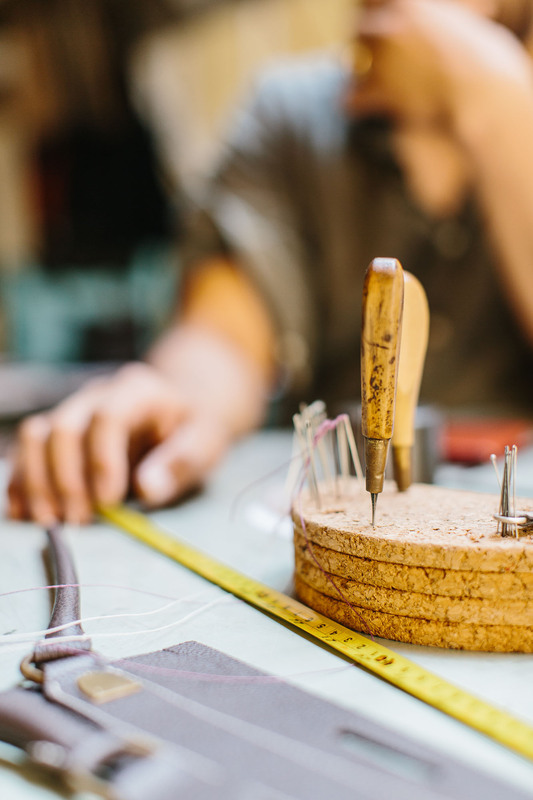 There is no shortage of Japanese artisans in Florence. But one that hasn’t garnered much attention yet is Hiroyuki Murata, who goes by the brand name Saic Firenze. 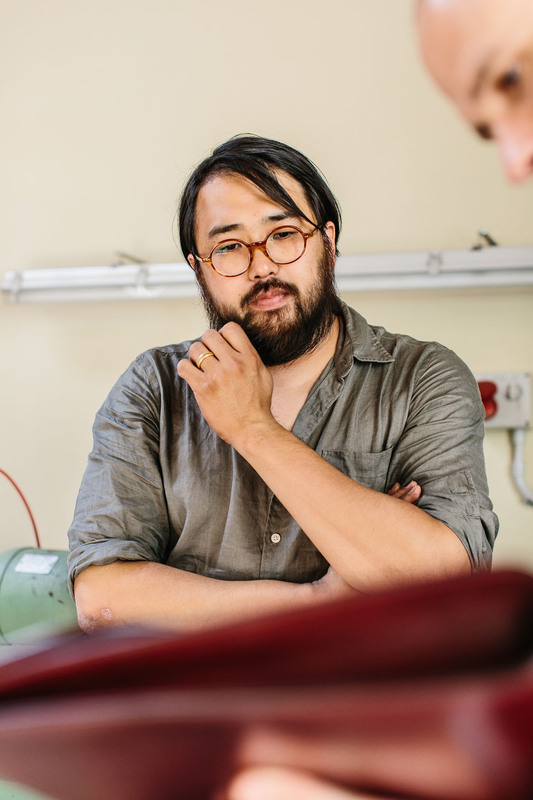 Hiroyuki-san and his wife have a small workshop outside Florence. It’s on a lovely little pedestrianised cul-de-sac, but not walkable from the city. 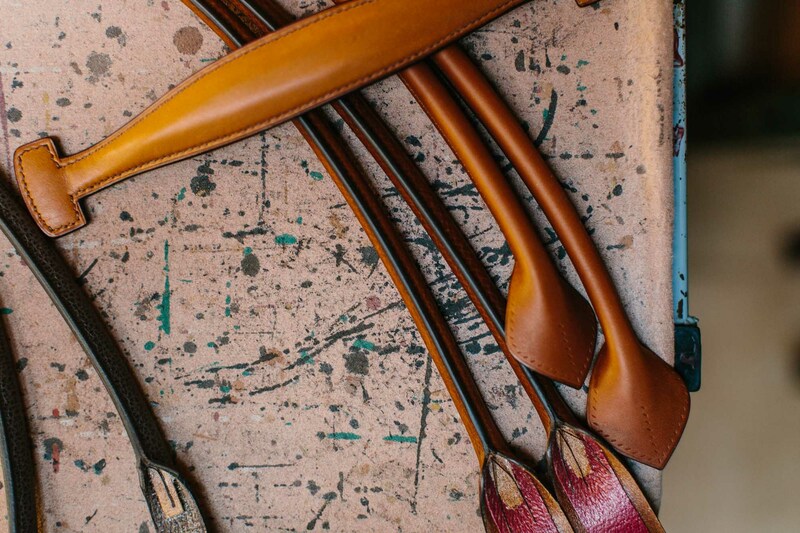 Here he makes some beautiful men’s and women’s bags, in quite original designs - mostly machine work but nice hand sewing on handles and elsewhere. Hiroyuki has been in Italy for 8 years, and in this particular workshop on his own for the past two. 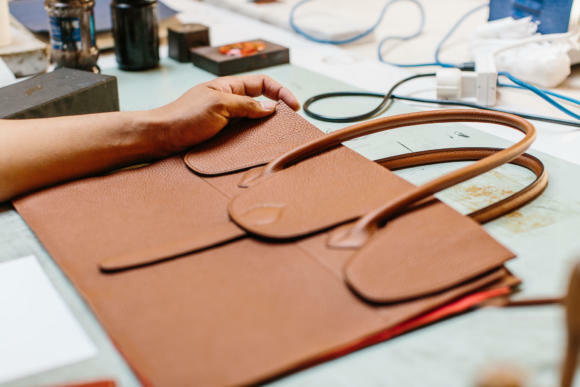 He originally learned leather work in Japan, having studied architecture at university but keen to do something equally structural with his hands. “I liked big, practical bags - totes, pieces in heavy canvas,” he says. “Today we make some much finer pieces, quite French-inspired, but I think they all have a focus on practicality as well." Hiroyuki worked for Felisi when he moved to Italy - a Ferrara-based manufacturer that produces some nice bags, including the backpacks at Anderson & Sheppard in London. 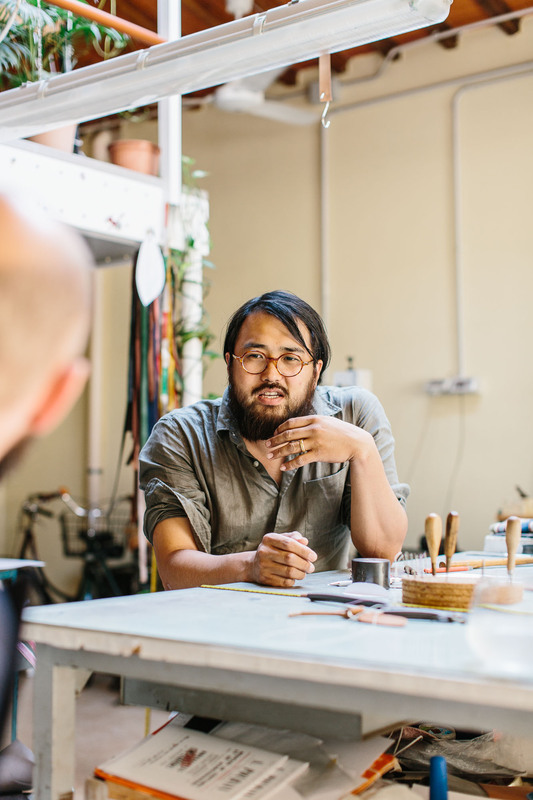 When Hiroyuki set out on his own, he wanted to include more handwork, and focus on bespoke. That’s still the plan today - his only ready-made bags are part of a small collection for George Wang at Brio in Beijing. But he admits it’s hard. 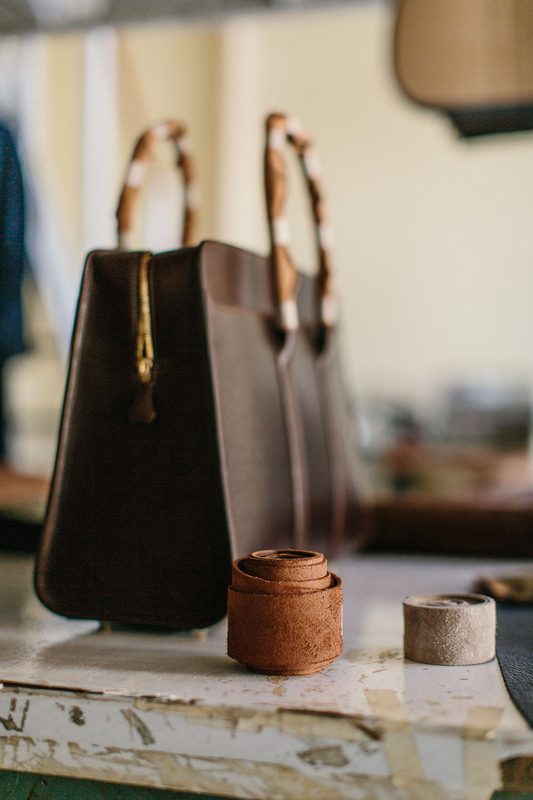 “Even trying to charge a good price and develop a strong clientele, bespoke is really hard to support us,” he says. 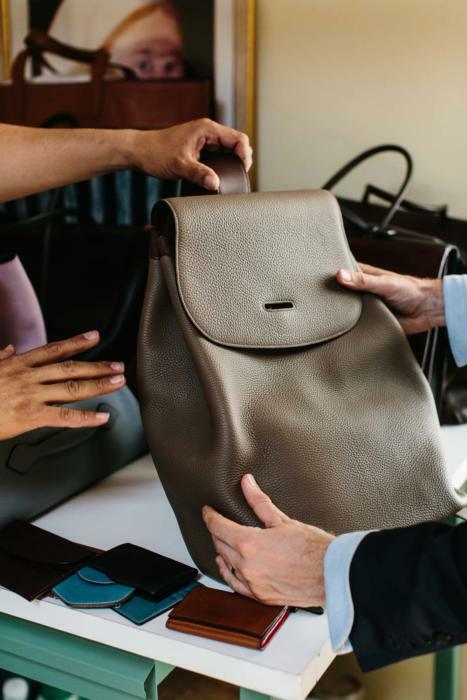 Hiroyuki generally charges between €1500 and €2500 for a bag, depending on size and design (and with exotics considerably more); but he is likely to have to put up prices soon. His personal designs include a folio with a curved brass closure - pictured above. This folds down neatly to close the case, and is initially stiff but softens up as the hard bridle leather softens up. 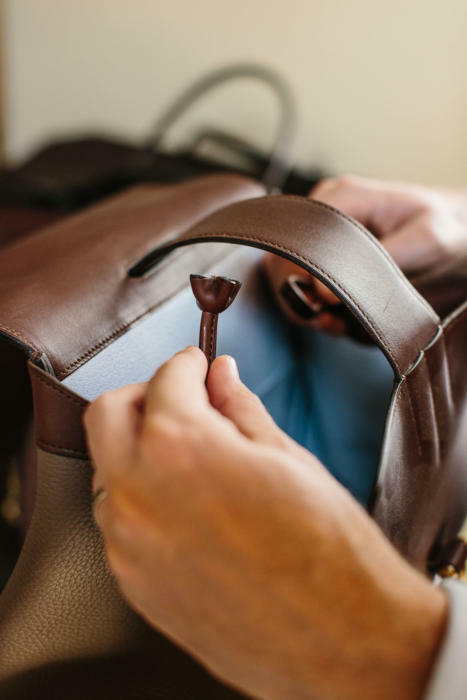 There’s also a lovely backpack in grained calf (above) that has a similar closure, and his other bags are full of little innovations - such as the four-leaf-clover-shaped fastening on the bag below. Every piece is characterised by delicate, curving lines - in the flaps, the handles and the internal pockets. Some of them become a little effeminate as a result, but the simple pieces such as the folio are definitely enhanced by it - and look lovely in greys and browns, whether bridle or calf. Hiroyuki currently does trunk shows in Tokyo and Osaka, but sadly has no plans to travel elsewhere. If the designs appeal - and they are more affordable than hand-sewn versions, by Ortus for example - then it’s worth getting in contact with him in Florence. Be aware that his English is functional, but not great. 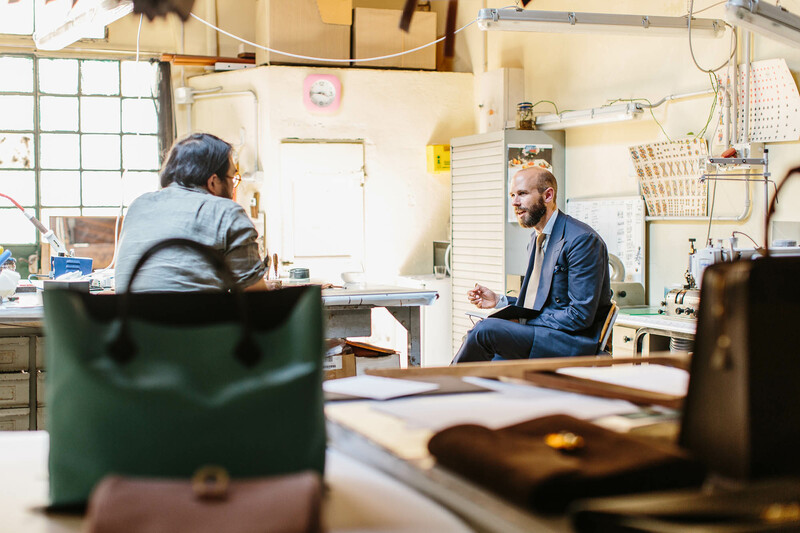 You can follow the discussion on Saic: bespoke bag-maker Hiroyuki Murata by entering your email address in the box below. You will then receive an email every time a new comment is added. These will also contain a link to a page where you can stop the alerts, and remove all of your related data from the site. Who does nice, pale, chambrays for bespoke? Albini and Canclini both have some nice ones. You might also like our denim shirts, which are pale and very subtle, launching week after next. We’ll be selling both the cloth and the finished shirts. I wish you had mentioned this to me a few weeks ago when I posted asking where to buy good denim shirts. Simon, did someone teach you to add “-san” after someone’s first name? Sounds like you’re speaking about a child. Last name with -san or just use his first name and don’t worry about following Japanese convention. No doubt people have called you “Simon-san” — that’s because there is a long-standing double standard applied to foreigners. Comment may have been cut off? 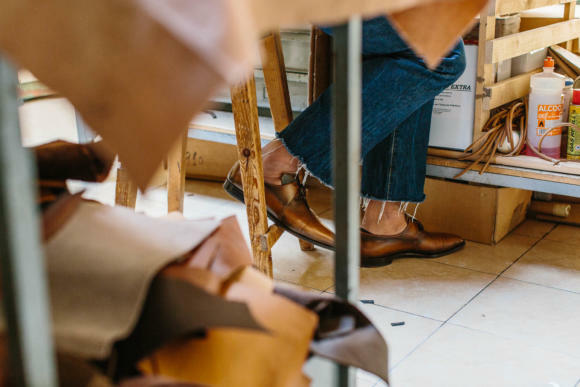 There is indeed more prestige attached to such crafts in Japan, and many come to Italy because it is the tailors, shoemakers, manufacturers they know. The size of Italian menswear generally, and particularly RTW. Once there is a community it of course makes it easier for others. Did you commission or by something from him? During the course of this series, you’ve sported more bags than Zsa Zsa Gabor. As us mere mortals only need one, which out of your vast collection would suit all occasions and why? I think last year you did a review of the Bennett Winch weekender – which as I remember scored well in some areas but was a bit heavy. At a milestone birthday, just past, my wife bought me the Bennett Winch brief – in chocolate for a well priced £650 . I am really pleased with it; its lightweight being a mixture of leather and canvas, looks very well made and has all the pockets and flaps you would ever need. 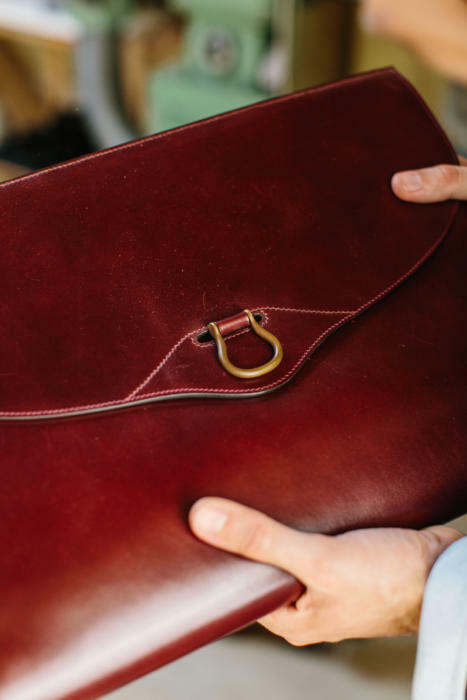 I understand that these are made in England which is an extra bonus and while not bespoke I think my brief would hold up well against a Siac bag. It is also aging beautifully. Simon, any chance of you having another look at this company? It’s a very different animal to Saic, but still really nice. Great profile. I look forward to visiting his workshop on an upcoming trip to Florence. I wonder if anyone has any personal experience of the Anderson & Sheppard backpacks to share? I have seen a brown one online, and it certainly looks interesting. I’m reluctant to make the trip down unless feedback from others suggests that it might be worth it.